Jimmie’s alcohol addiction caused him to lose his successful landscaping business and, before long, caused him to lose his home. 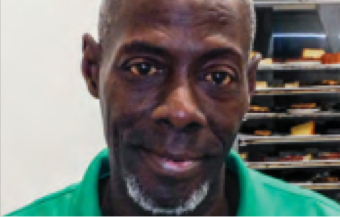 After coming to the Mission and going through our Ready2Work program, Jimmie is clean and sober, and is now the supervisor of seven Ready2Work employees in the Mount Vernon Triangle Community Improvement District. “Ready2Work has really gotten me to be the best I can be. It showed me things I didn’t know I could do,” Jimmy says. Today he is living with his new wife in their new apartment and is active in their church.